We here at THEI have been watching the incoming Comet Ison with interest for some time. Will the MSM use this event as a major distraction to take the heat off their political bosses usual day-by-day shenanigans for a bit? Or could this become the worldwide ‘false flag’ the elitist have been waiting for to “bring the people together with a common enemy” in order to bring about their beloved One World Order? 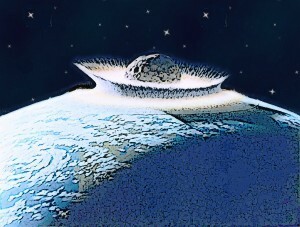 Then again,as some believe, is the Comet actually being ‘escorted’ or controlled in it’s movement by an Alien Civilization? Does it even matter? Could it all be over? 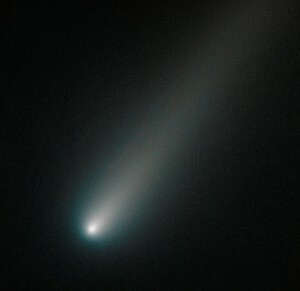 The Space Telescope Science Institute has released new observations of Comet ISON taken with the #Hubble Space Telescope. Here is our hangout, coinciding with the news release of this data, to discuss these observations and the latest about Comet ISON. The comet of the century is traveling through our solar system now – Comet Ison (C/2012 S1). Why is NASA being so quiet and reluctant to share information? What is really going to happen? Are we in danger? The government and NASA have been talking about possibilities of a massive blackout worldwide caused by an EMP or electromagnetic pulse. The sun has been acting weird, shooting mass solar flares which can cause these types of events. Time to connect the dots. 3.1 Mile Comet ISON Being Escorted By Two UFOs Toward Earth! Here is some footage of the comet ISON close up. This footage shows two cigar shaped UFOs orbiting the comet. I believe these two UFOs are either hiding with the comet so they wont be detected by other aliens or…even more likely, these UFOs are escorting…guiding the comet to an unknown destination so that the aliens could harvest the valuable minerals it contains. . . . From Description published with video. What would be the environmental effects if the earth collided with a large comet? For instance, what would the climate be like afterward, and what forms of life would be most likely to survive? . . . From Description published with video.